Our values serve as our foundation upon which we build. 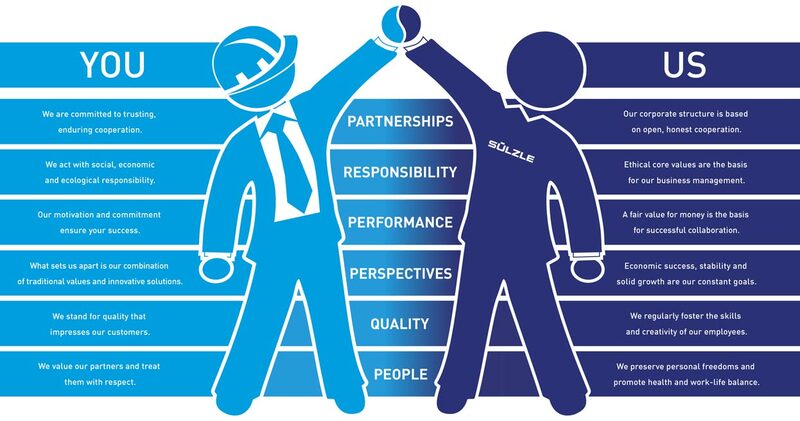 They are the basis for collaboration with our customers and partners and for everything we do. Each product and development that bears our company name should become a solution for you: state-of-the-art technology, ready for use in practice and economically attractive. At the same time, however, each project requires that we take responsibility: for you, for our employees and for the environment. We believe that enduring success and awareness of the environment are closely linked, this is why we use environmentally friendly, efficient logistics throughout our Group. Therefore, we develop system technology that closes energy cycles. And this is also why our company centres its actions on people. We take our cue from the needs and goals of our customers. They are the basis and motivation for our actions. Trusting, reliable cooperation is necessary to be able to develop and implement tailored concepts with the ideal combination of products and comprehensive customer support for you. We live and breathe our values and ideas and are only satisfied with the very best – for you as well for us. 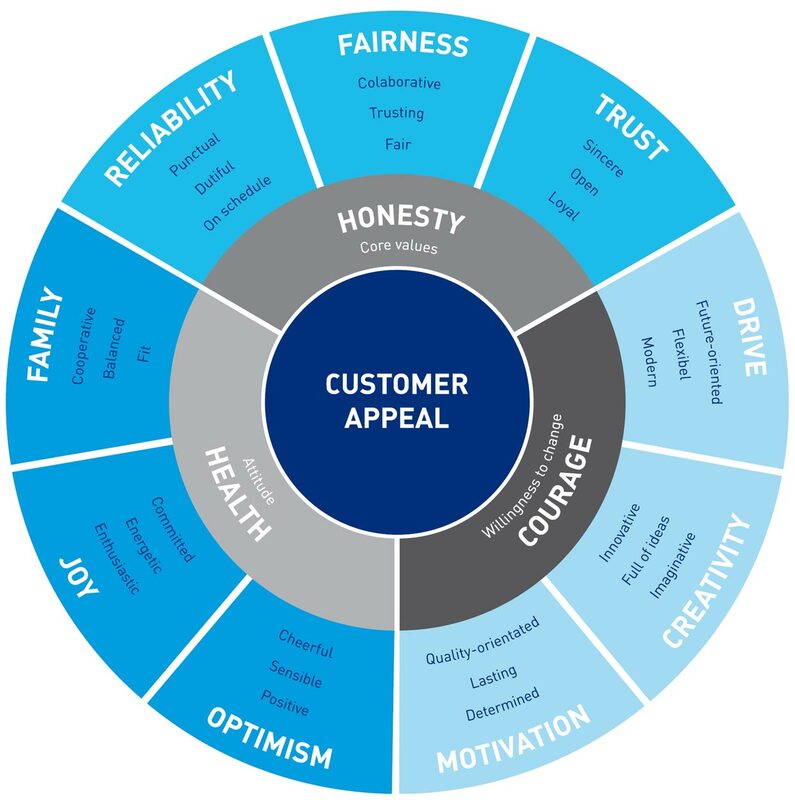 Our wheel of values shows: whichever way you look at it, each project and communication with you is based on our values. Honesty is our basic prerequisite, combined with an open, optimistic approach and especially the courage to embrace change. Together, we can realise the projects of tomorrow and take responsibility for a strong and sustainable future.